On Monday, May 2, Washington OBGYN Diane Horvath-Cosper filed a civil rights complaint with the Department of Health and Human Services. The doctor, who is an abortion provider, alleges that MedStar Washington Hospital Center violated her right by imposing a “gag order” that prevented her from speaking publicly about abortion. The hospital, however, contends that they were acting in the best interests of patients, taking “sensible precautions” in response to anti-abortion violence. 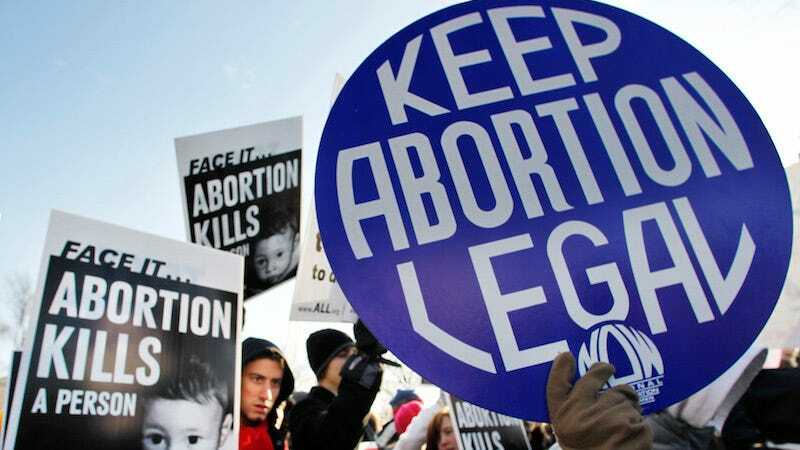 [...] the legislative history and final wording of the [Church Act] show it was intended to be two-sided, said Gretchen Borchelt, the vice president for reproductive rights and health at the National Women’s Law Center and a co-counsel in Dr. Horvath-Cosper’s complaint. The law states that no entity receiving federal money may discriminate against any doctor “because of his religious beliefs or moral convictions respecting sterilization procedures or abortions.” That means that doctors are protected from punishment for supporting abortion, just as they are protected if they oppose it and refuse to participate, according to the complaint. “If she can’t speak out about abortion the way other doctors at the hospital do about what they work on, she is being treated differently and that is discrimination,” Ms. Borchelt said. In her complaint, Horvath-Cosper alleges that the hospital’s safety concerns were a thinly veiled attempt to end her advocacy. She alleges that the hospital had few of safety measures in place that are typical in abortions clinics and recommended by the National Abortion Federation.